From Vogue contributor and Guardian columnist Hadley Freeman, a personalized guide to eighties movies that describes why they changed movie-making forever—featuring exclusive interviews with the producers, directors, writers and stars of the best cult classics. ...a racy and highly entertaining love letter to 1980s movies ... Freeman’s journalistic instincts have rooted out a different story, one that concerns the narrowing of American culture and the betrayal of women in movies, on screen and off ... Freeman’s breathless prose often looks in danger of overheating...Thank God, then, for her sense of humour, always ready to prick the bubble of absurdity in which so many of these movies are incubated ... I can’t imagine a more passionate advocate of mainstream 80s movies than Freeman. The author revels in her happy movie geekery. She swoons, with exaggerated sincerity ... Personally, I don’t think snooty critics are fighting the author as hard as she thinks, even those who prefer to dwell on the ’80s as the era of 'Blade Runner,' 'Raging Bull' and 'Blue Velvet' rather than 'Sixteen Candles' ... 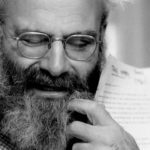 Still, mixed in with the slumber-party gush, Freeman makes many smart observations worth saving up and revisiting for a project less giggly than this. 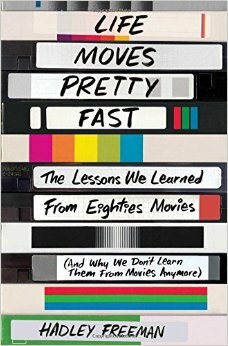 What did you think of Life Moves Pretty Fast: The Lessons We Learned from Eighties Movies?